Daniel is the quintessential leader. He listens and guides like a father. He learns from experience and adapts to improve. Daniel’s skills as a problem solver have enabled him to achieve great success in life and career. Daniel graduated from Emory University in 2000 with degrees in Philosophy, Anthropology, and Theater. He is a lifelong brother in the Sigma Chi Fraternity. In Daniel’s hospitality career of 25 years he has worked just about every position! Starting as pool monitor and busboy at the young age of 14 then working as a barback and beach lifeguard, Daniel learned the true meaning of work. Later as a bartender and server Daniel learned the essence of true customer service. Daniel has been the Managing leader in three companies yet none as important as his current position working with his siblings in their family business. Daniel is now the lead Event Consultant with Live Wire Athens and the COO of Live Wire Sounds, Inc. I developed a passion for helping people celebrate moments and milestones in life during my 15 years in Event Planning. I have an extensive background in coordinating logistical details for social events, fundraisers, conferences, and speaking engagements for up to 2,000 people at locations throughout the U.S.
Planning an event is supposed to be fun and exciting, not stressful! I would love to sit down with you and hear about your vision for your special occasion. I will work together with you to consider all the details to tailor your event to your specific preferences. 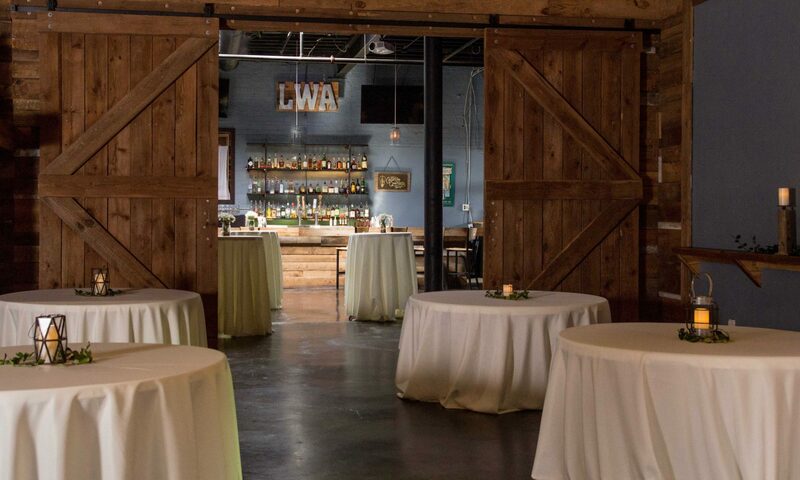 Let’s get together and make a plan a top notch event at Live Wire Athens! Brenden’s career began as a teenager interested in music performance. From his garage, where he would rehearse with bands and record to cassette tapes, his curiosity for promoting music and engineering sound systems would come to light. Soon, Live Wire Sounds Inc., a company in which Brenden would serve as Vice President and Lead Audio Engineer, was formed. Years would pass as Brenden, alongside his brother Andrew, would organize youth concerts, make records, and setup professional audio for clients in Savannah, Ga. While attending Savannah College of Art and Design’s (SCAD) School of Film and Television, Brenden would get his first touring experience as a sound engineer. Four months prior to his 2008 graduation date, Live Wire Sounds Inc. would partner with Brenden’s older brother, Daniel, to open Live Wire Music Hall (LWMH) on the historic River Street of downtown Savannah. LWMH would be the first of its kind as a venue to regularly broadcast concerts via a free online stream. In the latter years of LWMH, Brenden would experience the national touring scene as well as become a recording engineer under the New Orleans Jazz & Heritage Foundation. In the last 5 years, Brenden has mixed audio at 5 NOLA Jazz & Heritage Festivals, rocked nearly 20 national tours with Passafire, and opened Live Wire Athens. Brenden proudly deems Athens, Ga as his favorite small town in the U.S. because of the great people and synergetic culture found here. Andrew S. Robertson is a dre amer on the constant mission of broadening his skill-set and influences. This ambition has laid a foundation of expertise enabling him to excel within the Event Industry. Throughout his 15 year career, you will find two common themes: Special Events & Hospitality. At the early age of 14 and inception of Live Wire Sounds, Inc., Andrew entered the production & entertainment industry as a production technician and DJ. Within months, his oldest brother, Daniel, brought him in for his first restaurant position. The rest fell into place, leading him to work a spectrum of roles and events from fine dining service to being a production tech for Savannah Music Festival. Credit for his is innate sense of hospitality is attributed to hailing from the “Hostess City of the South,” where his passion for mixology and munchies spawned. He is constantly seeking for his next perfect bite. Andrew is now an Event Consultant that works hand-in-hand with students, newly engaged couples, corporate planners as well as other event professionals. He is dedicated to leaving a lasting, positive impression on every guest and takes great pride bringing clients’ concepts to fruition. Let him assist you along the journey embarked when planning and executing events of any nature.